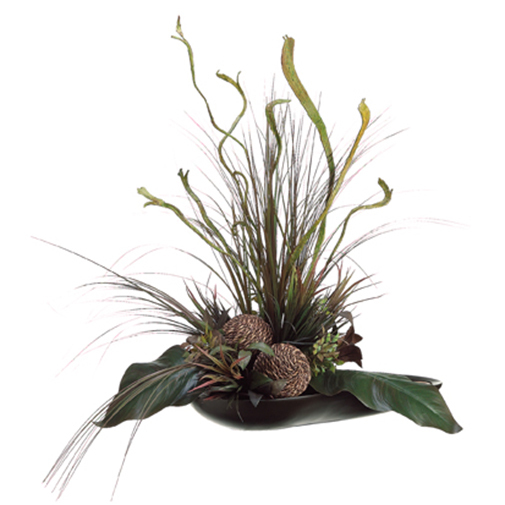 Stunningly beautiful, this 29"hx27"w canna, staghorn & grass silk flower arrangement will add a splash of summer to any room. Its unique blooms of this artificial flower arrangement will instantly add a tropical feel and is perfect for contemporary and minimalist homes. Place as the centerpiece for a dining table or at the entryway for a summertime look that lasts year round. Height - 29", Width - 27", Depth - 18"